As we recognize American Heart Month and Valentine's Day in February, we are truly grateful for the support and ability to collaborate with our referral community. CVCA saw nearly 21,000 cases last year and we love working with you, your patients, and your clients every day! We are excited to continue growing our amazing team at CVCA and bringing our services to new areas and markets. Please reach out to us anytime with questions, concerns or ideas on how we might be better able to support you in offering the best possible care to your clients. Please visit our survey here to give us feedback. We are truly thankful for our network of amazing veterinarians! 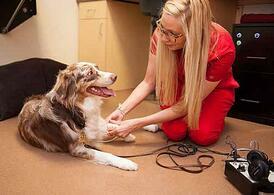 Dr. Tyrrell sees patients inside of The LifeCentre in Leesburg, Virginia and CARE Veterinary Center in Frederick, MD. Systemic hypertension in the canine and feline is a common disorder. It can be a difficult disease to diagnose as it tends to be silent until significant secondary organ damage occurs. 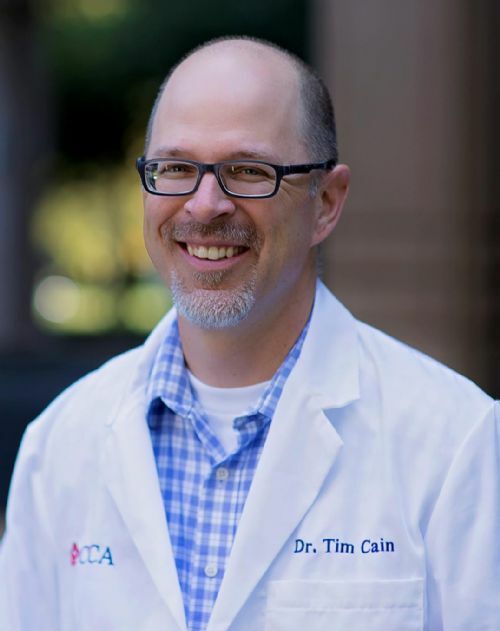 A recent update to the ACVIM consensus statement: “Guidelines for the identification, evaluation and management of systemic hypertension in dogs and cats” as well as the release of a new FDA approved medication, Semintra™ (Telmisartan), to treat hypertension in the feline has generated many questions to our cardiology team. This issue of “The Murmur” is meant to summarize the updated ACVIM consensus statement, briefly discuss the use of Semintra™, and provide an update on how CVCA approaches and treats the hypertensive patient. The same individual(s) should be responsible for all blood pressure (BP) measurements in the hospital. Training and experience are paramount. CVCA solely recommends the use of Doppler blood pressure measurement equipment. We feel this older technology represents the closest approximation to the gold standard of blood pressure measurement, direct arterial monitoring. Oscillometric methodologies (although fancy with digital readouts) have been shown to be less reliable/accurate especially in cats and small breed dogs. The animal should be gently restrained in a comfortable position, ideally in ventral or lateral recumbency to limit the vertical distance from the heart base to the cuff. The cuff width should be approximately 30-40% of the circumference of the cuff site, e.g. limb or tail depending on animal conformation, tolerance and/or user preference. Only take measurements when the patient is calm and motionless. The first measurement should be discarded and then an average of 5-7 measurements should be recorded. Please note that some patients have BP readings that trend downward. In this case, once the measurements have plateaued, then take your 5-7 measurements and obtain a meaningful measurement. If in doubt, e.g. very unlikely for a 2-year-old healthy cat to be hypertensive, repeat measurements with different cuff size or alternate limb/tail. Record cuff size and site, patient’s demeanor, the rationale for values included/excluded, etc. Situational hypertension—It is very common for our patients to suffer from anxiety from the car ride, waiting room, exam room, odors, pheromones, etc. This alone can temporarily increase blood pressure into hypertensive ranges. There is no justification to treat situational hypertension. Secondary hypertension—This is the most common form of hypertension in veterinary medicine. There are several disease states that commonly result in secondary high blood pressure in the veterinary patient. Unfortunately, treatment of the underlying condition does not often result in normalization of blood pressure and treatment of the secondary hypertension is still necessary. TREATMENT/MANAGEMENT: Since hypertension is almost always (>80%) secondary to some other underlying metabolic abnormality, treatment for hypertension and additional diagnostics for a primary cause should be initiated simultaneously. Depending on the patient, these diagnostics may include CBC, serum chemistry, UA, SDMA, quantitative assessment of proteinuria (urine protein: creatinine ratio (UPC)), serum T4 (cat), and cortisols (dog). Additional diagnostics may include an abdominal ultrasound and urine aldosterone and catecholamine levels. Secondary renal hypertension/proteinuria—ACEi (Enalapril, Benazepril) 0.5 mg/kg q 12 hours usually combined with amlodipine 0.1-0.5 mg/kg q 12-24 hours. Some internists will use higher dosages of ACEi or an ARB to decrease proteinuria. CVCA’s experience with monotherapy ACEi is that an ACEi usually does not adequately control hypertension and amlodipine is required as a secondary agent. Recheck renal values and electrolytes in 1-2 weeks after starting therapy in particular if using ACEi or ARB therapy or if renal disease is preexisting. If proteinuria was diagnosed, a repeat UPC will be indicated as well. Semintra/telmisartan 10 mg/ml oral solution was launched by Boehringer Ingelheim this past fall. It is the only FDA approved medication to treat hypertension the feline. It has been licensed in Europe and Canada for the past several years. The initial dosage of Semintra is 1.5 mg/kg q 12 hours for 14 days followed by 2 mg/kg q 24 hours thereafter. If hypotension occurs at this dosage, it can be decreased by increments of 0.5 mg/kg. As one can see from the above adverse reactions, vomiting and non-regenerative anemia were common side effects of Semintra. 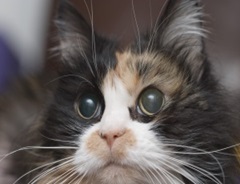 However, upon closer examination of the study population and the study itself, these cats were a median age of 14 years and all had IRIS stage 3 or greater chronic renal failure. Thus, many of these “adverse effects” might be expected in this study population. There was also no control group in the 5-month study. Semintra™/telmisartan is classified as an angiotensin receptor blocker with effects on the efferent renal arteriole. Thus, monitoring of renal panels after initiation of Semintra™ is recommended just like the use of an ACEi. With the possible concern over non-regenerative anemia, it is also CVCA’s recommendation to recheck a CBC at the same time. In cats with proteinuria and hypertension, Semintra™ is recommended as the first line therapeutic (1.5 mg/kg q 12 hours for 14 days followed by 2 mg/kg q 24 hours thereafter). In cats with inadequately controlled hypertension on a maximum dosage of Amlodipine (1.25 mg q 12-24 hours), the addition of Semintra™ is recommended as a secondary agent (same dosage as above). SUMMARY: Hypertension can be both a frustrating condition to diagnose and treat in the dog and cat with it often being associated as a secondary disease process. However, the therapeutics currently available to us have great efficacy and we are often quite successful in treating hypertension to either prevent and/or reverse target organ damage. The cardiologists and cardiology residents at CVCA are happy to assist in any manner with your patients. Please don’t hesitate to phone/email us to discuss or refer a challenging case. Together we can achieve the best outcomes for our patients and clients. February is American Heart Month - CVCA is Raising Awareness and Giving Back! February is American Heart Month which means it's time to raise awareness for heart disease in dogs and cats with CVCA Cardiac Care for Pets! Visit our website at www.cvcavets.com/americanheartmonth for more information. What’s better than winning fun prizes while learning?! For the entire month of February, we will be posting weekly quizzes on our Facebook page. Each quiz is just ONE question, and the answer can be found somewhere within our website. Easy, right? Complete the quiz and one lucky entrant will win a prize EACH WEEK! That’s 4 chances at winning! CVCA's Paper Heart Contest - Help Us Reach our Goal! Step 1: Use an official paper heart from one of our 13 locations or download one by clicking here. Step 3: Post your photo to the CVCA Facebook or Instagram page. Last day to post is February 28th, 2019. Step 4: One lucky entrant will win a CVCA Swag Box and $50 Amazon Gift Card. Winner will be selected at random at the end of the contest. Click here to see the official rules of CVCA Cardiac Care for Pet’s paper heart contest and be sure to download the paper heart here! 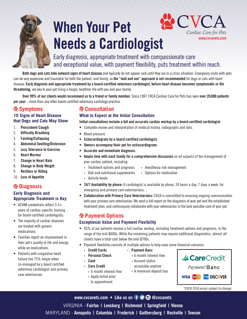 can use when discussing with clients on why their pet should see a board-certified cardiologist for a cardiac exam. 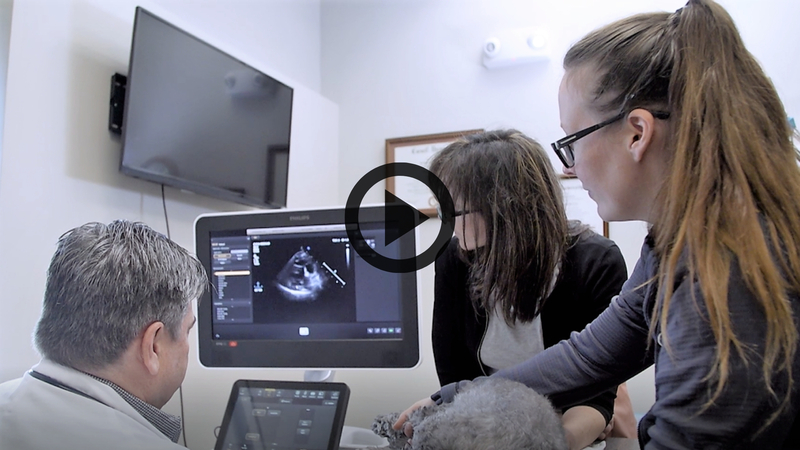 CVCA will continue to collaborate with primary care veterinarians on the care of the patient by sending a full report on the diagnosis of the pet and the established treatment plan on the best possible care of the client. To view all of the client handouts available, at No Cost, or if you are in need of brochures, business cards, and more for your office we ask you fill out a Supply Request Form and we will get the items shipped out to you immediately. Questions, please contact Michael Brasz at michael.brasz@cvcavets.com. Bill Tyrrell, DVM, Diplomate, ACVIM (Cardiology)will be lecturing! DVM, MS, Diplomate, ACVIM (Cardiology) will be lecturing! Michael Hickey, DVM, Diplomate (ACVIM) Cardiology) and Steven Rosenthal, DVM, Diplomate, ACVIM (Cardiology). December and CVCA started seeing patients on December 4th. CVCA’s teams are committed to providing the best client service, experience and the highest level of patient care for each and every patient. Rick Cober, DVM, MS, Diplomate, ACVIM (Cardiology), has wanted to be a veterinarian since he was young and started working as a veterinary technician in general small animal practice in high school. His passion for animals and veterinary medicine continued through college and veterinary school where his interest for cardiology began. He enjoys all aspects of veterinary cardiology including medical and interventional management of cardiac disease but in particular interacting with and educating clients about their pets specific type of cardiac disease. In his off time he enjoys spending time with his family and friends, especially his wife and 1 1/2 year old daughter as well as boating or any type of water related activity. Michael Hickey, DVM, Diplomate, ACVIM (Cardiology), was raised in Baltimore, and is a graduate of the University of Maryland and the Virginia-Maryland College of Veterinary Medicine. 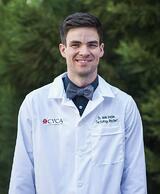 He completed his residency with CVCA and achieved board-certification in 2013. In his free time, he enjoys spending time with his wife, two young children, and rescue mutt, following the Maryland Terps and DC United, cooking, and taking on random home projects. Kendra LaFauci, DVM, 3rd Year Resident in Cardiology, grew up just outside of Boston, MA and went to veterinary school in New England. Like most veterinarians, she truly loves animals (except birds) but she also equally enjoys working with people by building lasting relationships with pet owners, collaborating with other veterinarians, and being a part of the wonderful, hard-working, cardiology team at CVCA. She found herself pursuing Cardiology as a specialty because it combines all facets of medicine including long term case management, emergency care, and surgical procedures as well. Her cardiology interests/passions include congenital heart disease and interventional cardiac procedures, management of acquired heart diseases and congestive heart failure, and practicing progressive medicine to optimize quantity and quality of life for every one of her patients. When she is not working or studying for boards she values time spent with family and friends as well as exploring the great outdoors. She is a devoted mom to her gorgeous, spirited, orange cat T- Rex and her over-sized, brown, lapdog Vince. Matthew Boothe, DVM, 1st Year Resident in Cardiology, had a passion and understanding of veterinary medicine growing up as he is the son of two veterinarians. He is very excited to begin his residency and future career with CVCA, and to finally move north of Atlanta for the first time in his life. His interests include playing soccer, traveling the world with his wife Hannah, playing the guitar, SEC football, and paddle boarding. His four legged children include two dogs, Starfox and Laney, and three cats, Zaza, Kiesel, and Obi. Amy, our Veterinary Assistant, Amy was a latecomer to veterinary medicine. After a short tour in the U.S. Air Force, she worked as an investment advisor and Registered Paraplanner at a boutique investment firm in California. Amy left the finance/investment world in 2010, when her active duty Air Force husband was transferred to Germany. In Germany, Amy fell in love with veterinary medicine, working as a veterinary nurse at the U.S. Army veterinary clinic in Stuttgart, Germany. Amy transitioned from small animal general practice to cardiology in 2017. Outside of work, she enjoys travel and spending time with her two dogs, two cats, husband, and teenage son. She is a lifelong learner who obtained her Master's Degree in Business Administration in December of 2018. Drew, our Veterinary Assistant, worked in small practice for 5 years before starting at CVCA. She has 2 cats named Opal and Jasper, and enjoys art and the outdoors. Jamie, our Veterinary Assistant, joined CVCA in 2000. When not in the office, she's home with her two fur-babies or spending time with her family in Maryland. Shanna, our Client Service Representative, started in small animal private practice in 1998. She joined the CVCA team in March 2017. She obtained a bachelors in Biology/Zoology from the University of Maryland. She enjoys spending time with friends, family and her itty bitty pit bull Raven. Questions, contact the CVCA Annapolis Team at cvcaannapolis@cvcavets.com. 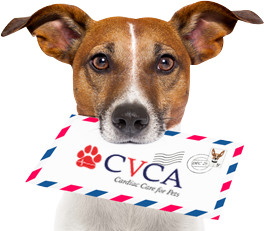 Subscribe to CVCA's Monthly Blog! Our goal is to write and publish a blog once every month. As you might notice, the blog contains articles not solely heart focused, as we are hoping to educate the community and connect with people along the way! 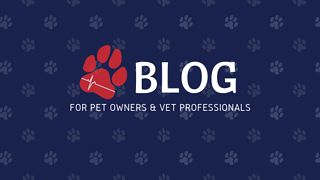 If you're interested in learning more about CVCA and staying up-to-date on industry-related topics and trends, subscribe to our monthly blog by clicking here! 1 Acierno M, Brown S, Coleman A, Jepson R, Papich M, Stepien R, Syme H. ACVIM consensus statement: Guidelines for the identification, evaluation and management of systemic hypertension in dogs and cats. J Vet Intern Med. 2018; 32:1803-1822. 2 Jepson RE, Elliott J, Brodbelt D, Syme HM. Effect of control of systolic blood pressure on survival in cats with systemic hypertension. J Vet Intern Med. 2007;21:402-409. 3 Elliott J, Barber PJ, Syme HM, Rawlings JM, Markwell PJ. Feline hypertension: clinical findings and response to antihypertensive treatment in 30 cases. J Small Anim Pract 2001;42:122-129. 4 Henik RA, Snyder PS, Volk LM. Treatment of systemic hypertension in cats with amlodipine besylate. J Am Anim Hosp Assoc. 1997;33: 226-234. 5 Snyder PS. Amlodipine: a randomized, blinded clinical trial in 9 cats with systemic hypertension. J Vet Intern Med. 1998;12:157-162.